Hi there everyone and hope that you’re having a good weekend so far. This is Michele again to share with you a card that I’ve made using one of the new gorgeous images from Whimsy that is available here at Bunny Zoe Crafts. 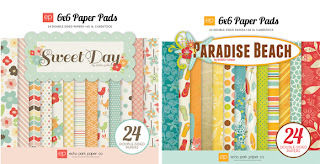 The DP is My Mind's Eye Indie Chic – Citron from Bunny Zoe Crafts and I’ve inked the edges using Brushed Corduroy. 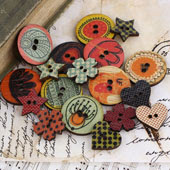 The Prima Flower, Flat Back Rose Cabochons and Web Ribbon - Light Blue are all available from Bunny Zoe Crafts. Hi there everyone and hope that you’re keeping well. 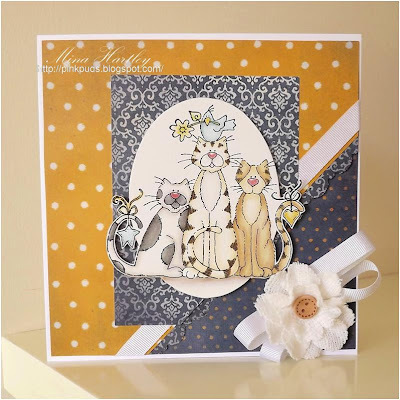 This is Michele here again today and I’d like to show you a card that I’ve made using one of the gorgeous new images from Whimsy that is available right here at Bunny Zoe Crafts. For my card I’ve used the gorgeous Blossom Berry Sitting Pretty from the Little Cottage Cuties Collection illustrated by Elisabeth Bell for Whimsy Stamps. Hi there everyone and hope that you’re all keeping well. 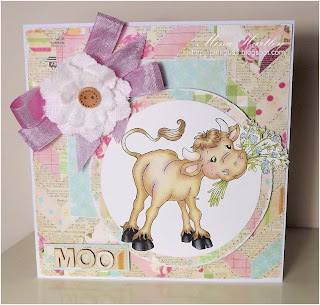 This is Michele and today I’d like to share with you a card that I’ve made using the gorgeous new Whimsy stamps that are available right here at Bunny Zoe Crafts. 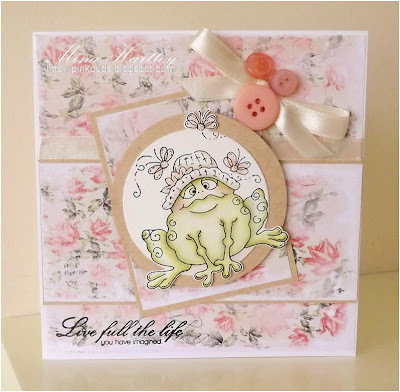 For my card I’ve used the gorgeous Whimsy Mountain Lily designed by Sylvia Zet. The Flat Back Rose Cabochons and Web Ribbon – Chocolate are all available fromBunny Zoe Crafts and the other flowers are all handmade. Hope your all having a great week. The image I have used today is a Bildmalarna Mimosa So Lovely and she sure is. 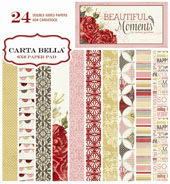 We currently have 20% off Magnolia Stamps & Papers. 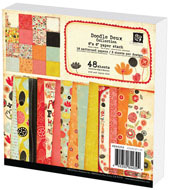 Many Magnolia stamps are discounted further! So have you grabbed yourself a Smash * book yet?? Maria Therese here with some Smash book inspiration.. The green one I almost can't close.. The pages in this pink Smash book is just so girly and so pretty to use as background! 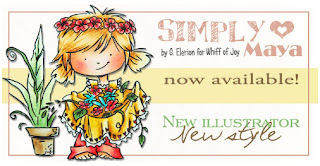 Hello everyone, today I want to show you a card I made with one of the new released stamps from Whiff of Joy. I used 'Maya watching a ladybug'. Isn't she just the cutest? I coloured her with Distress Inks. 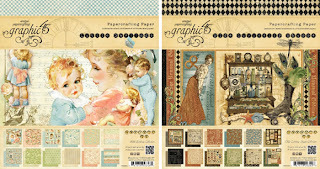 The background papers are Prima Meadow Lark. 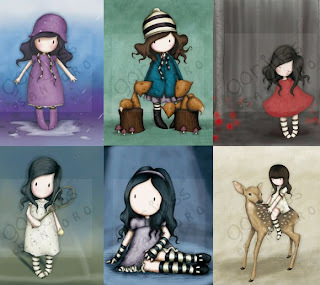 Just take a look at the other cuties from the new 'Simply Maya' collection. They're all so sweet. Have a wonderful and sunny day! Thank you so much for looking. 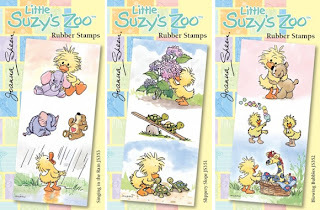 *NEW Little Suzy's Zoo Rubber Stamps. 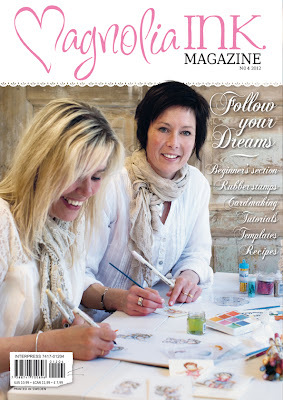 Featuring the artwork of Suzy Spafford. 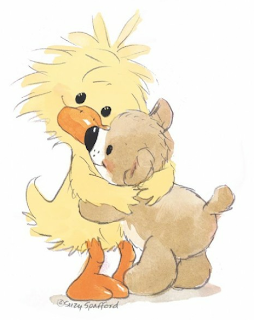 Cute, adorable and lovely to colour! I have a little scene for you today. I have used the new Marianne Design Craftable House, I can see lots of uses for this, New Home, Christmas Scene with a christmas tree outside as well as a nice summer scene, like the one I have created for you today. Whimsy Stamps June Release - NOW SHIPPING! Good morning! Hope your all having fabulous weather! Hop on over to Mina's blog by clicking on the photo above. 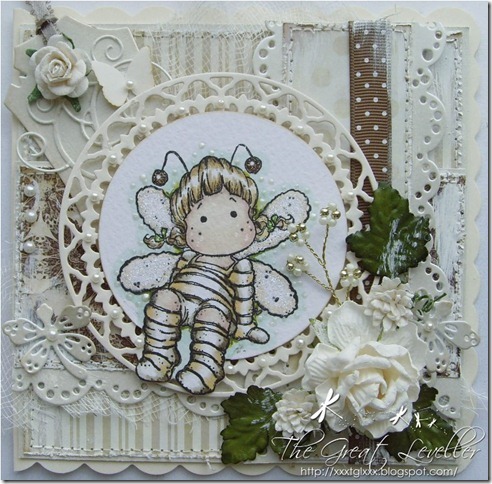 I have this beautiful Whimsy stamp to show you today, although my picture does not do this card justice. The image is called "Summer Garden & Accessories" and don't forget that BunnyZoe have a sale on right now. 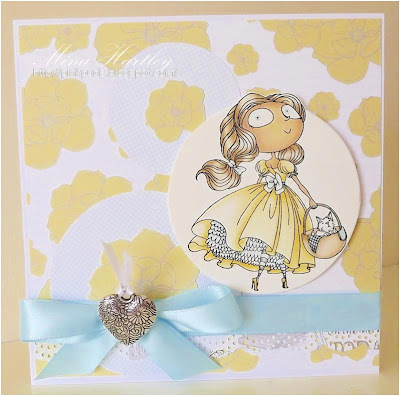 This image comes with lots of handy sentiments and I have used a combination of distress inks and the new distress marker pens, I really love these. This is my last post before the 54 mile London to Brighton Bike Ride on Sunday, so wish me luck. 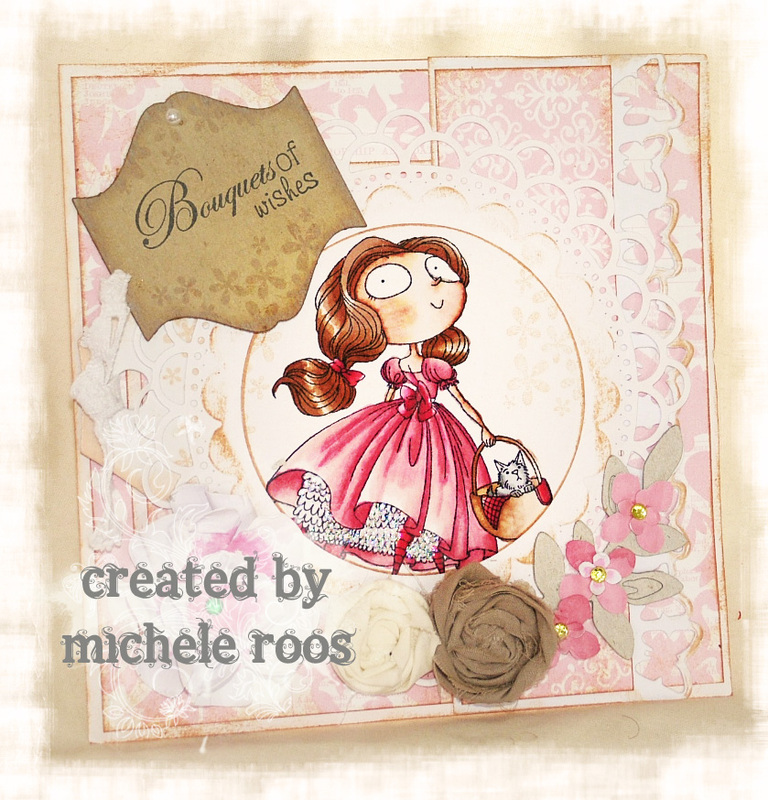 Hello and good morning everyone, Karina here to show you a new card I recently made. 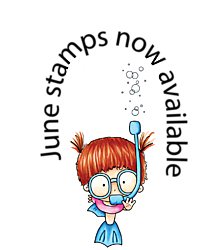 I used this supercute image by Bildmalarna 'Your Birthday'. For this card as well I used the gorgeous papers from the Kaiserkraft 6x6 pad 'Charlotte's Dream'. I love them so much, the colours and patterns are so lovely. I coloured the image as I mostly do with Distress Inks. The sentiment is from Whimsy Birthday Letter Seals. The border die is from Magnolia 'Sweet Lovely Lace'. As more decorations I used some Flat Backed Pearls and some Flowers. Well, I wish you now a wonderful and creative weekend. Thank you so much for looking. 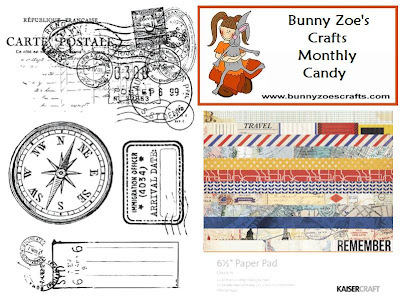 And hey, there is a SALE right now at Bunny Zoe's Crafts where you can have quite some savings here and there. Don't forget to check. C.C. Designs June Release - NOW SHIPPING!!! We are really looking forward to you sharing your creations with us! Next months challenge will commence on Monday, 9th July so you have until 6pm Sunday 8th July to submit your entry!!! Dont forget if you would like to be a future guest please add DT to your name when entering. Here's a close up of the image. I coloured her with Distress Inks. The background papers are Kaiserkraft Charlotte's Dream. I made a big bow with Raffia Lace Light Pink and added a little rose and a pink heart pin into it. The sentiment is from Whimsy Stamps. I also added some flat backed pearls to my card. Have a wonderful weekend everyone and thank you so much for looking!